Well, had past guests of Four Villages Inn Nicki and Andrew decided to go to South America and had chosen Peru, they would not have needed to get tourist visas like they had to for their trip to Ghana. Thank God that they got a cheap flight to Ghana and the flights to South America were priced prohibitively. So how did I find out Peru has a no tourist visa regulation? A little 600 year old pyramid mound in a park a few hundred yards from my rooms. Christopher Scott I presume you are in Egypt where short-term tourists are not required to procure a visa…Egypt is among a number of African countries including Cape Verde, Senegal, the Gambia, and South Africa that do not require visas. Needless to say tourism revenues far exceed those of Ghana. The SCRAP SHORT TERM TOURIST VISA TO GHANA movement only wants to compete on a level playing field. Join the FB group and sign the petition. John Haigh no visas needed for Europeans or south Americans here Chris! And as you know, Peru is a hot favourite for tourists – probably the top destination in South America! 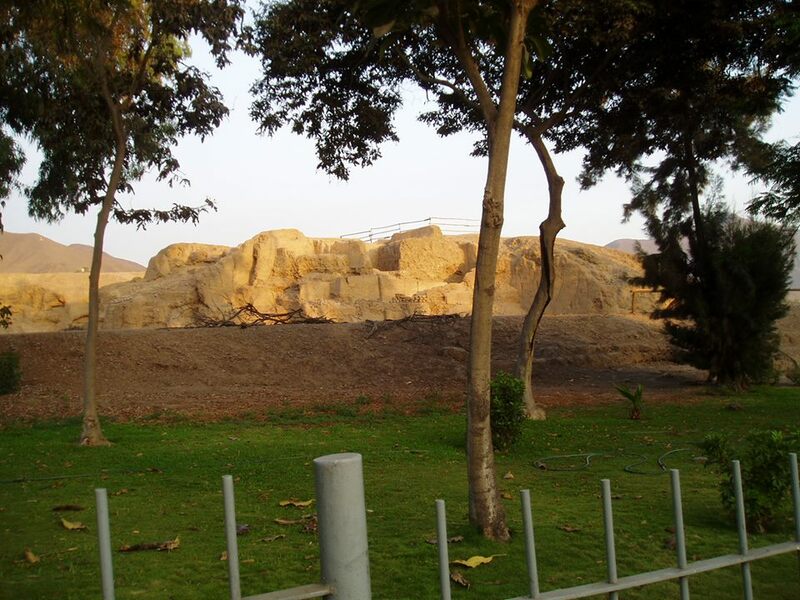 You commented on my photo of the pyramid round the corner from my house in Lima. Here in Peru, where tourism has become a very valuable part of the economy, Europeans do not need a visa. Which certainly encouraged me to visit originally. There are not a vast amount of tourists – I have just spent the afternoon at traditional festival with a few thousand people, and hardly 100 tourists – but their spending has a big impact in some small communities, some areas of Lima, some industries (traditional crafts). It has great publicity value too – in the past few weeks a couple of Peruvian restaurants have hit the list of the world’s top 50 restaurants, which is a massive achievement. If you want to achieve in this global economy, you have to engage with the world. Making it difficult for people to visit…not good. Festus Tumi and Richard Trillo like this. Festus Tumi Cassie, could I ask why you persisted in going to Ghana despite all the difficulties? You say this is your third time. Did any other destination ever cross your mind? John Haigh I have been travelling to Ghana for over 20 years. In the last five years the visa service from the UK has improved enormously. They have a queuing system, the Visa by post has always worked for me, they do it in the time they say – a couple to three weeks but you can pay for faster; also the airport immigration is almost entirely professional and corruption free, both entering and leaving – these are massive improvements. Of course there may be snags but in the last 5-10 years Ghana seems to value tourism and helping people travel to Ghana without stress. COMMENTS: 1. Expensive flights, and as commented on the scrap Facebook page expensive, unmonitored, uncontrolled hotels in Accra, make it all the more reasonable to scrap high tourist visa costs to Accra. 2. Issues at the Ghanaian missions abroad dictate that Ghana changes its visa regime. Ghana is losing precious business! 3. Yes, tourism has a big impact on small communities. Here in Ghana I refer to anything outside of Accra and not only for communities, but for small establishments and remember 98% of hotels are small enterprises. 4. Yes, John, if Ghana wants to achieve in this global economy. it has to engage with the world. Making it difficult for people to visit…not good. Accra, the capital of Ghana, has welcomed business travelers for years. Now tourists are streaming in, a byproduct of the fact that the country has Africa’s fastest-growing economy and is also one of its safest destinations. yes, but if they leave Accra for Ghana as tourists it’s more often or not day trips, thus injecting very little revenue into the regions.